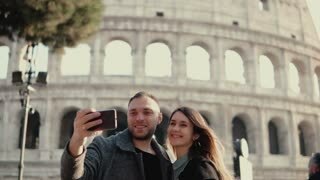 Happy young couple using smartphone for taking selfie photo near Colosseum in Rome, Italy. Man and woman have vacation. Young happy couple traveling in Rome, Italy. 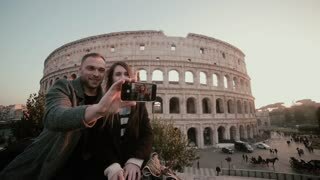 Man and woman taking the selfie photo on smartphone near the Colosseum. 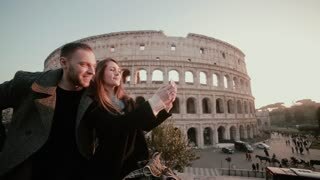 Happy young couple taking a selfie photo near the Colosseum in Rome, Italy. Handsome man kisses woman, smiling. 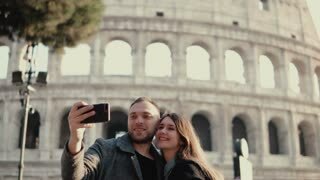 Young happy couple taking a selfie photo on smartphone. 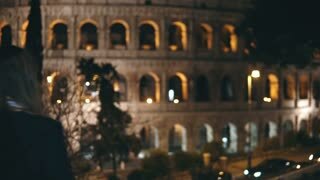 Attractive man and woman near the Colosseum in Rome, Italy. Young happy couple walking in the city of Rome, Italy near the Colosseum. Traveling man and woman enjoying the sight. Slow motion. Young happy couple meeting near the Colosseum in Rome, Italy, hugging and spinning around and kissing. 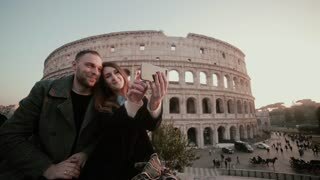 Happy young couple taking a selfie photo near the Colosseum in Rome, Italy. Traveling man and woman smiling in camera. 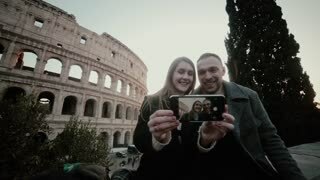 Young beautiful couple sitting near the Colosseum in Rome, Italy and taking selfie photo on smartphone together. Young beautiful couple walking in the evening near the Colosseum in Rome, Italy, showing with finger to sight. 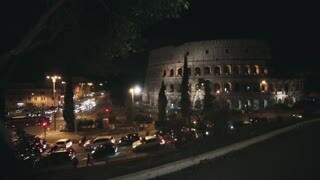 Back view of young beautiful couple walking in evening near the Colosseum in Rome, Italy, talking photos on smartphone.